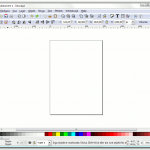 Some time ago I wrote a short review of the application Inkscape which is a great free alternative to Illustrator. For a happy amateur like myself, Inkscape can do all that I want it to. The only thing that really did bug me with the version I’ve been running for some time (0.46) was the lack of performance. And guess what, performance-fixes is one of the big things they push to have been fixed in the new version. And what I’ve seen this far they managed to get it a bit more “snappy”. I still longing for a re-work of the overall graphical user interface of the application though. If they would like to get it to an enterprise-level they need to get it more user friendly for the start. For reference I’d like to point out the launcher which can be found for Photoshop Elements which is a polite way of trying to help the user without pushing help in their face (office-paper-clip, I’m looking at you). All in all Inkscape still is the best alternative when it comes to drawing vector graphics for all us people not really in the mood for throwing dollars for the big suits. And to be completely honest here, the more I use it the more I feel that it covers all I need with flying colors. 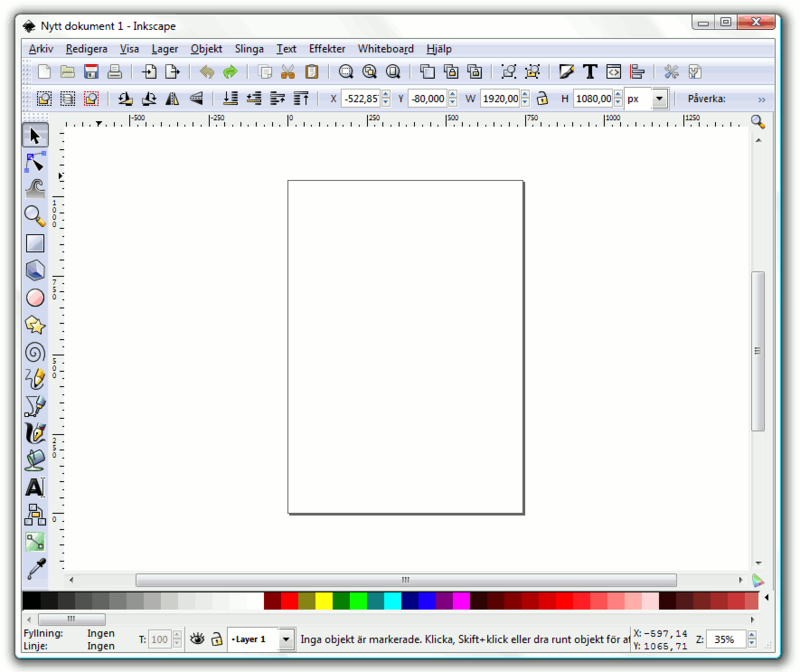 Inkscape is an open source SVG (Scalable Vector Graphics) editor. It has the functionality to create everything from simple to semi-professional work. The interface is clear to understand and easy to get started with. Personally I have quite little experience of Illustrator so the transition to new icons and tools went very smooth. When it comes down to creating vector graphics most people see Adobe Illustrator as the best (and only) tool to use. Often people get their hands on the application in school or at work but almost no one have the money to buy it to use back home. This is where Inkscape steps into the field. The biggest strength of Inkscape is that it is really easy to get started with and the interface works to help the user instead of scaring them. Also, the fact that the application is free to use make me happy. Weaknesses exist everywhere and Inkscape just as many other open source suffer from some performance problems. From time to time when I use it to create I all the sudden get into a state of lag. After a bit of consulting using Google I find that my problems seem to have a wider audience and quite a few other have the same issues. But this aside I also have a bit of a problem using layers in Inkscape, more then rarely I find myself adding objects to a layer which I wasn’t supposed to do. Inkscape is a worthy alternative to Illustrator when one look at the fact that is is an free alternative. There are some issues which makes it hard to use in a commercial product-line but for amateurs and semi-professionals this can make do for most things you need to create vector graphics. I’d say four out of five, I really think that it is a great application. If it had not been a free application it would have received one plus less though due to the performance problems I’ve got. For more information and download links check out the Inkscape site.